Things you Can’t miss in the Marlborough Sounds! When you see the forested mountains rising from the peaceful turquoise sea while cruising on the North Island-South Island ferry, did you look at the place and think “I need to spend more time here”? You have been captured by the allure of the gorgeous Marlborough Sounds. There’s no better introduction to the South Island! It’s well worth spending time in this part of the Marlborough region for both awesome land and water-based activities. Although there are many awesome things to do in the Marlborough Sounds, we’re going to narrow it down to just five Marlborough Sounds must-dos! If you have limited time exploring the Marlborough Sounds, then check out these top things to do to really make the most of your time in this piece of paradise in the South Island. The Queen Charlotte Track is the staple of the Marlborough Sounds, so of course, we have to mention it first! The 70km track encapsulates it all with Marlborough Sounds forests, stunning ocean views, and pristine wilderness. Although the hiking/biking track is a multi-day track, there are plenty of water taxis that can take you to the best bits of the Queen Charlotte Track for shorter versions of the hike. Check out Beachcomber Cruises for transport and day hikes. For more information, read Mountain Biking in Marlborough and Picton – Guide for Backpackers. 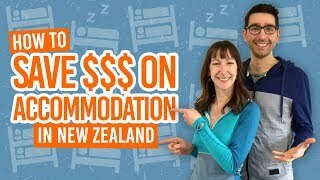 It’s not quite the typical way to experience New Zealand for backpackers, but staying in one of the resorts in Marlborough Sounds is a good way to have a “holiday” from your backpacking trip! Stay in an isolated piece of paradise, often with access to kayaks, snorkelling, beaching, walks, wildlife and more! The resorts that are around the backpacker price margins are: Anakiwa Lodge, Punga Cove Resort and Lochmara Lodge. Water taxis to these resorts can be accessed from Picton Wharf. The best Marlborough Sounds scenery is out on the water so the best way to experience is… Yes, you guessed it, out on the water! There are plenty of scenic cruises to choose from – most popular is by mail boat where you see isolated coves of the Marlborough Sounds with Beachcomber Cruises, Cougar Line and The Mail Boat. However, there are more ways to get out on the water, from fishing charters to dolphin swimming cruises with E-Ko Cruises. Cruises depart from Picton Wharf and Havelock. Motuara Island is a pest-free island, meaning there are not introduced predators to threaten the lives of native New Zealand birds. In other words, birds thrive here on Motuara Island so it’s a great place to cruise out and get a taste of what New Zealand used to be like before human migration. There is an hour walk to a stunning viewpoint at the top of the island. However, we recommend spending some time at the “watering hole” (you know it when you see it) to get the most birding action. Location: E-Ko Tours and Beachcomber Cruises’ Motuara Island cruises depart from Picton Wharf. For those a little more adventurous and keen for some exploration, make your way down to French Pass! The French Pass Road is one of the most scenic drives in the country as you travel on the edge of a hilly peninsula with awesome views of D’Urville Island and the waters of the Marlborough Sounds. Check out the whirlpools at a lookout signposted just before you reach the small settlement of French Pass. You can even take an excursion via water taxi out to D’Urville Island with its wealth of walks, birds and hunting experiences.